KKK hood===white apartheid by terror to fend off red communism. Not everyone with a MAGA hat has a hood in their closet but many of them have a virtual one in their thoughts and feelings, and are well aware of what the MAGA hat symbolizes to other people. 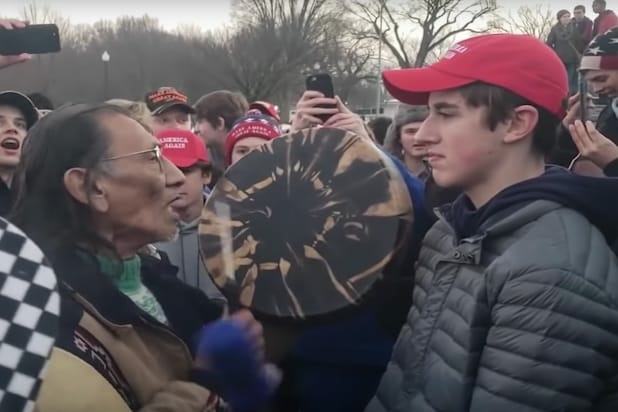 That would include the Covington kids doing Tomahawk chops, jeering and making fun of Native chants and chanting build that wall etc. For the few that actually do have KKK hoods in their closet, there’s a 99% chance they have a MAGA hat they wear at other times.